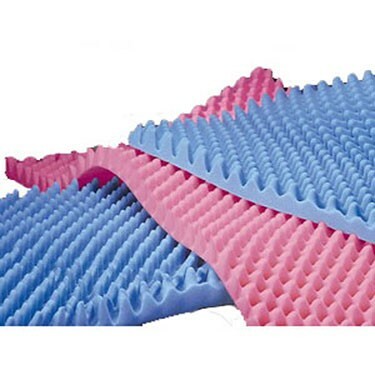 Joerns Healthcare Eggcrate Convoluted Foam Bed Pad, 33" x 72" x 4", Base Height 1"
Joerns Healthcare BioClinic Eggcrate Convoluted Foam Bed Pads are designed to meet the needs of patients at risk for varying types of skin injuries. They distribute body weight evenly, reduce pressure and promote air circulation for enhanced comfort. Proprietary Eggcrate cut promotes air circulation for enhanced comfort. Eggcrate design helps distribute body weight more evenly, resulting in improved comfort and gentle, restful sleep. Relief from the stiff, aching and tired feeling of sleeping on a poor mattress. Convoluted design allows for improved air circulation, keeping you cool in the summer and warm in the winter.